Get a feel of the room with RoomSense | Gumstix, Inc. | Gumstix, Inc.
We are happy to introduce to you, RoomSense. It’s our latest board design in Geppetto that detects movement and room conditions. Furthermore, it connects over WiFi with a passive IR occupancy sensor, barometer, temperature and humidity sensors, and the Microchip ATSAMW25 module. Use sensor data to control your home with the RoomSense passive-IR board. Additionally, you may plug it into any powered USB port and deliver occupancy, temperature, humidity and barometric pressure to your home automation system. This tiny USB dongle uses a passive IR motion detector, and temperature, humidity and barometric sensors to monitor a room’s conditions and occupancy. Moreover, the Microchip ATSAMW25 provides a SAMD21 Cortex-M0+ MCU and WiFi connectivity. It also integrates easily with cloud IoT platforms such as MyDevices Cayenne. 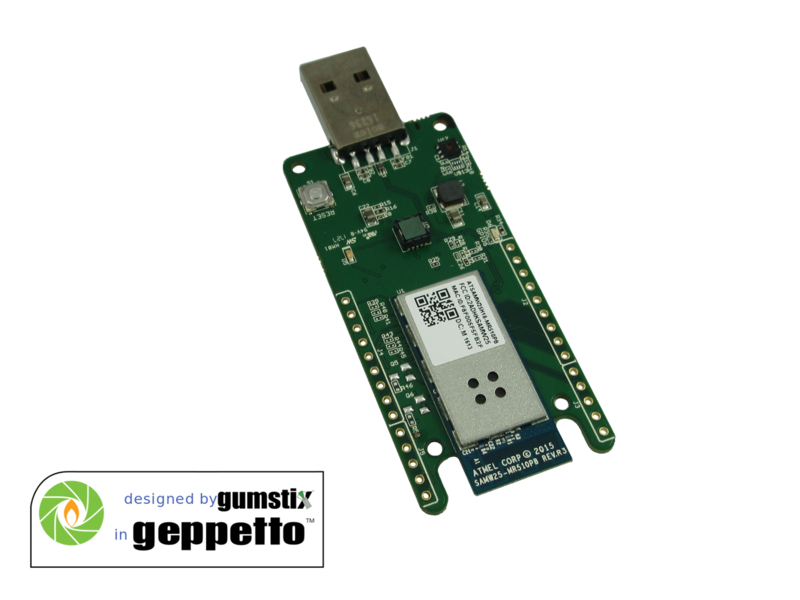 RoomSense is designed by Gumstix engineers’ in Geppetto which means you can change it to your own specifications and needs. You can change the processor, add GPS, or add more sensors as you need to make this fit into your next project. Each saved Geppetto design is supported with free documentation and board software package support with the recently added AutoDoc and AutoBSP tools.